If you’re a content writer or a blog owner, indeed some mistakes you always do in spelling and grammar. Doesn’t matter you’re a pro or not, if you write then definitely you’ll make mistakes. These Small mistakes always harm your brand or work reliability. So this thing is also happening with you then here you’ll learn how you can prevent spelling & Grammatically errors for free with Grammarly. Grammarly is a premium Spelling and Grammar checker online tool. Which you could use only after buying premium services. 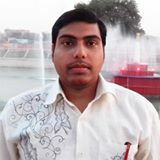 But now It is offering some feature for free, And small spelling and grammatical errors can be easily corrected with Grammarly free service. 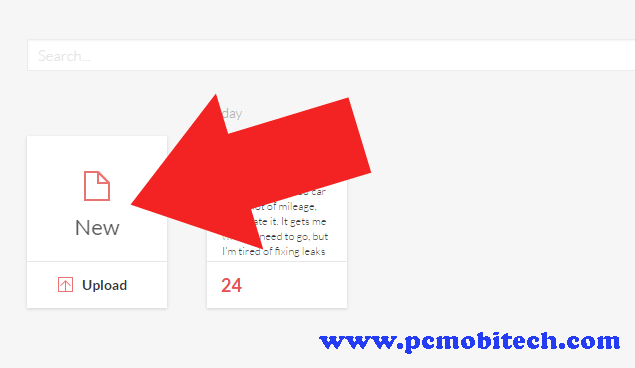 How to disable Grammarly for specific page or website. As I said in above paragraph, Now Grammarly allows to check some spelling, grammatical mistakes for free. So you can quickly identify & Fix Contextual Spelling, Grammar, Punctuation, Sentence Structure, Style errors by using following services: (1) Web (2) Extension (3) Windows Software, (4) MS Word or Outlook. All above services need an Internet connection to fix spelling mistakes and grammatical errors. Without the Internet, any function will not work. And also to use Grammarly first, you’ll need to signup for Grammarly free account, this free account will work with all the services. So Go to >>Signup page<<. For Using Grammarly Web service you’ll need to log in to Grammarly >> Dashboard <<. Once you log in, If you’re creating a new document click on New button or you can Upload an existing document using Upload option. After creating a new document, a blank document page will appear, where you can give the Document title and copy the content from other source and paste it to Grammarly new document dashboard using Ctrl + V key. Once you paste the content, all the mistakes will be red underlined. To correct the mistakes, click on the highlighted word and on the right Grammarly will show you word correction. So you can click on the Green words, and it will fix the spelling mistakes. If you want to check that “How many errors this document contains”, then it can find out at the Grammarly status bar. 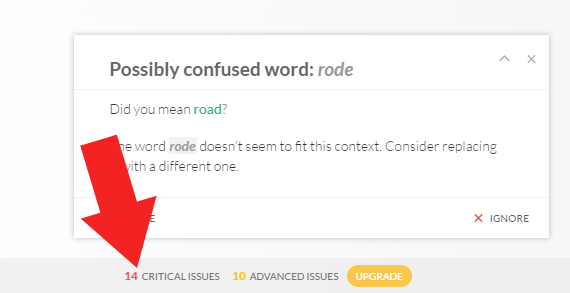 There you can also learn “How many Advanced issues this document contains” but it is a premium feature, and only can be used with Grammarly Premium plans. Currently, Grammarly is offering Browser extension for Chrome, Firefox and Safari Browser. So you can download and install Grammarly from Chrome Store, Firefox addon, and Safari extension store. 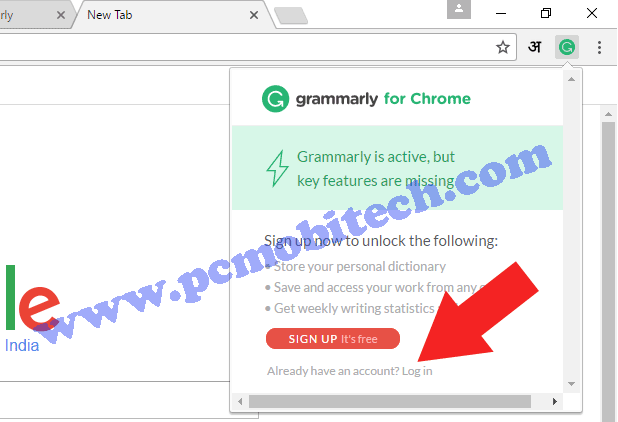 >>Click here to go to download page<< If you download the extension through our provided link then you’ll get Grammarly premium account for 7 days at the free of cost. If you want to learn how to install a Google Chrome Extension and app the read this post: How to Install & Uninstall or Enable & Disable a Google Chrome apps & extensions. After Download and install the Extension, click on the Grammarly icon, which will be available on the app shortcut bar. Now Grammarly for Chrome SIGN UP or Log in the menu will appear. If you already signed up then you can log in with the login link. In case you have not signed up yet then click on SIGN UP it’s free button. After Signup or login, Grammarly will be automatically activated. 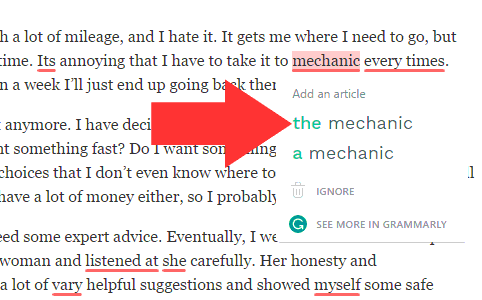 Now when you use any text editor in Chrome, Safari and Firefox Browser, Grammarly will automatically identify and highlighted the words with the red underline. And when you take cursor on the Word, Grammarly will show the correction. Along with this if you want to get more info related to word then you can choose option SEE MORE IN GRAMMARLY. If the Grammarly extension always enables in the Google Chrome or Mozilla Firefox on every page, then sometimes it hangs the browser. It will not good because your Browser and PC will run slower. So in this situation, you can Turn off the Grammarly extension for the specific page where the extension is not needed, To turn off the extension for particular page click on the Grammarly icon from the app shortcut bar and turn off the Check for Grammar and Spelling on “Page Title” toggle button. After this Grammarly does not check the spelling and grammar mistakes on the page, and your browser will be run fine without hanging down. Grammarly is also available for Windows, And it can be download from here: >>Click here to Go<<. Grammarly for Windows works same as the Web version, so you’ll not face any problem. Grammarly also offers an addin for Microsoft Word and Outlook. After the installation, Grammarly will be available in the MS Word & Outlook as an option menu. Before start using you’ll need to Signup & Login with user ID and after that Enable Grammarly option. Once it is enabled, you can start fixing errors same as web or Browser extension service. 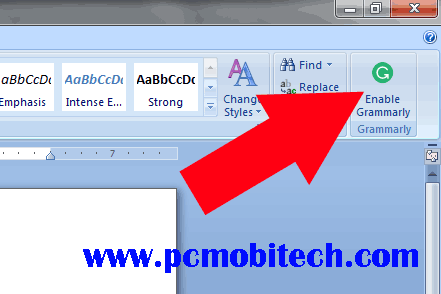 Download Grammarly add-on for Microsoft Word and Outlook: >>Click here to go<<. Grammarly provides error correction in two English languages: American English and British English. So you can change the English Language as according to your need. 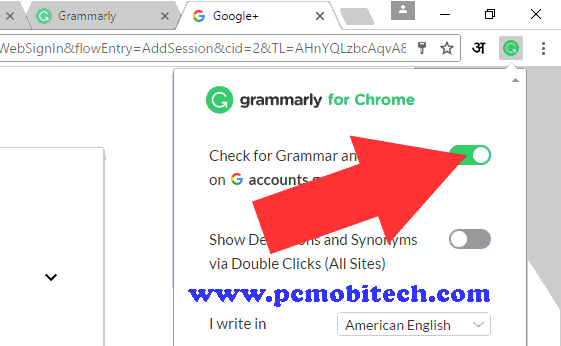 To change writing language in Grammarly Web or Windows software, after login click on the Profile option from left and in the Profile click on the American/British tab. Now you can select the language from I write in the drop-down list box. Click on the Grammarly icon, which will available on the App shortcut bar and then selects the prefer writing language from I write in drop-down list. If you’re using Grammarly addin for Microsoft office, then the language can be changed in the Web version, and all the settings will be automatically applied to the Microsoft and Outlook. Download latest Firefox Browser Offline Installer. Grammarly is the best English spelling and grammar checking tool, which will improve your writing skills and increase the customers and users trust. If you want to become a pro Writer or Blogger, then Grammarly is must necessary tool for you.